The Frankfurt Motor Show 2015 for every Hyundai visitor turned to be a treat. 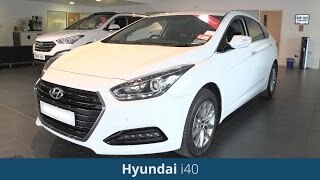 Company this time looked highly determined to create another benchmark and seems like they did it to an extent by presenting the new Hyundai i40 2016. The model is one of the first cars in Europe to have Android Auto. Let us have a closer look at the review of Hyundai i40 2016 to know more about the features and specifications. 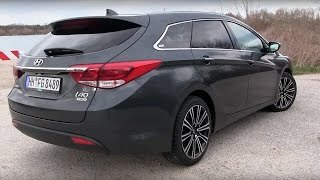 The interior of Hyundai i40 2016 is remarkably brilliant, especially the newly introduce and one of its kind Android Auto that makes the car unmatched from the rest in its segment in Europe. Also as an addon model comes with TomTom Live serving the connectivity purpose. For the infotainment and entertainment purpose the interior also comes with a seven-inch TFT color touchscreen with a new 3d mode of display and gets very well synchronized with the Android Auto. Apart from these the model is adorned with lots of space and comfort that will assure a healthy ride while the cleaner looking dashboard, center console and center stack add to the gleam of the interior. 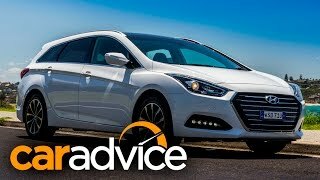 In all rounding up the interior details of the Hyundai i40 2016 all I can say is, it is worth a try. The exterior of Hyundai i40 2016 portrays a cleaner and luxurious image of the model. Starting with the front fascia it has a redesigned grille sitting amidst the newly incorporated LED lights. Beneath them is the pair of LED fog lamps integrated in the refreshed bumper. Moving towards the rear end you’ll notice the massive 18” alloy wheels giving a touch of sportiness while the body design remains elegant. The rear fascia is quite like a daily ride, the bumper and newly designed taillights however add some stars to the overall appearance. 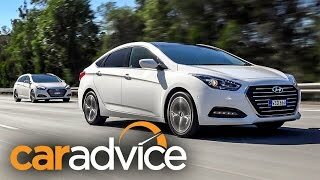 Rounding up the exterior details of Hyundai i40 2016 I would say it is neat, elegant yet sporty and aggressive. Beneath the hood of Hyundai i40 2016 is a powerful 1.7 liter diesel engine generating total output of 139 hp and peak torque of 340 nm paired to six-speed manual transmission. 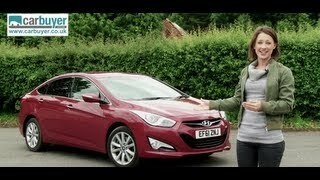 The top speed of Hyundai i40 2016 is not shared but the power so generated has the ability to make the model sprint from 0-60 mph in 12.4 seconds.